Basdeo Panday and his daughter Mickela. 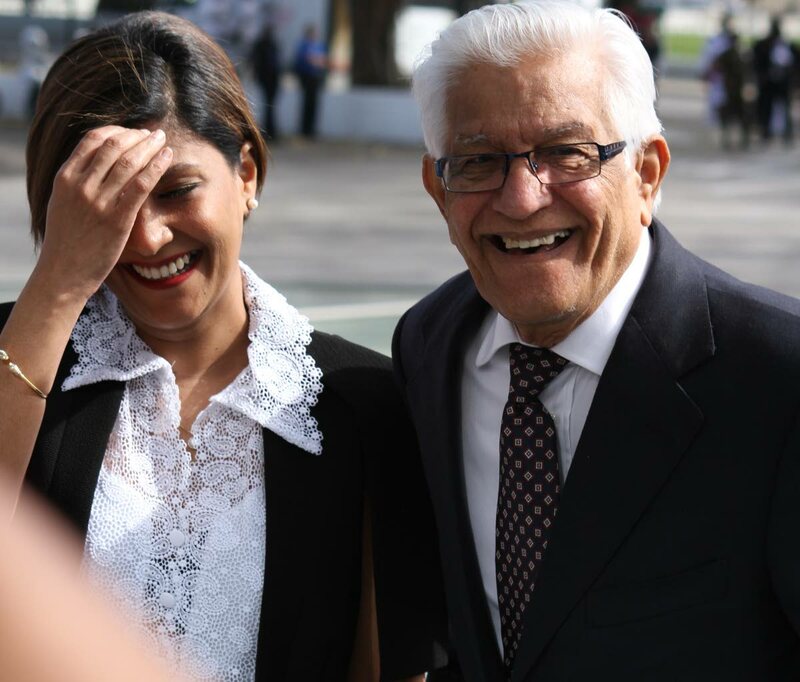 FORMER prime minister Basdeo Panday is confident the new party being launched by his daughter Mickela will be successful. Panday is unfazed by sceptics who believe the party’s impact is questionable or critics who think it will keep the People’s National Movement (PNM) in power. Panday was confident of its success because “more people want change, he said,” and e believed they outnumbered those who want the status quo to remain. He said these people are unhappy with the representation they get from the PNM and the Opposition United National Congress (UNC). On her Facebook page, Mickela thanked everyone who attended Sunday’s meeting. She added, “Look out for us in your area soon.” Some people replying to Mickela’s post asked when she would be coming to different parts of the country and how to get in contact with her. Reply to "Panday: More people want change"